Many residents have heard of the Lemon Law in Delaware, but few truly understand how it serves to protect their consumer rights. That's why we've put together this FAQ detailing the most common questions we're asked about the Lemon Law in Delaware on the 1-800-LEMON-LAW Hotline. How does the DE Lemon Law work? 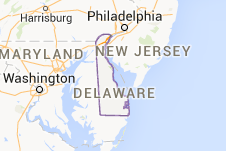 Does a problem always need to occur four times for a car to be considered a lemon in Delaware? Does the problem have to repeat itself within the year? Does mileage play a role in the Lemon Law? What happens if my first problem occurs after the first 12 months? Does this Lemon Law cover leased vehicles? Does this Lemon Law cover used vehicles? Can't I just return my vehicle to the dealership if I'm having problems right away? The Delaware Lemon Law covers drivers whose vehicles suffer a nonconformity or defect within the first 12 months that can't be repaired after four (4) attempts by the manufacturer-authorized dealership. If you have three repair attempts, we can still help under the Federal Magnuson–Moss Warranty Act. Not necessarily. If your car is in the shop for an extended period of time in the first year, consecutive or not, we can file a claim under the Law. No. As long as the first repair appears in the first year, we can file a claim. Even if the problem does not reoccur for quite a while after that, this still holds true. Not in Delaware. It does not matter how many miles you drive your car in the first year, as long as it is covered under the manufacturer's warranty. You may still have a claim. If you are having continuous problems and your car is under a manufacturer's warranty, we can still help under the Federal Magnuson–Moss Warranty Act. Please let us know about your repairs and we will have someone from our firm contact you and explain your rights. Representation is still completely cost-free under the Magnuson–Moss Warranty Act. Like lemon laws in other states, The Delaware Lemon Law Statute contains a fee-shifting provision which means, that if the consumer prevails, the manufacturer must pay all attorney fees and legal costs on top of what you receive. If we accept your case, you will not pay anything out of pocket, win or lose. The fee-shifting provision gives you equal footing when battling against a multi-billion dollar automobile manufacturer. Yes. The Lemon Law in Delaware covers leased vehicles. No, but, we are still representing Delaware Motorcycle Drivers through the Federal Magnuson–Moss Warranty Act. If you are experiencing problems with your bike, please do not hesitate to submit your information for our review. We have successfully handled many motorcycle breach of warranty cases and we offer the same cost-free representation as we do under the Lemon Law. Unfortunately, used cars are not covered under the DE Lemon Law. However, if you have a manufacturer's warranty, original or extended, we can still help you under the Magnuson–Moss Warranty Act. Additionally, if a dealer misrepresents a car at the time of sale, you may have rights under the Unfair Trade Practices Act. We encourage you to contact us to find out if and how we can be of assistance in these matters. No. Problems can occur immediately, but if you are interested in opening a Lemon Law claim, you must follow proper procedures. That means making an appointment to have your car examined and repaired, along with securing a repair invoice when you pick up your car. Make sure the invoice properly outlines all of the problems you disclosed to the service manager. We also suggest you keep a personal log of your repair visits. Please, hold on to these invoices. If you don't have the invoices, we can still help you (we can subpoena them if necessary), but having them on hand does make your case move along smoother. Never leave your car and keys at the dealer, saying you don't want it any more. This could be counted as a voluntary repossession, which could hurt your credit. When you're having problems, consult a consumer attorney, be it us or someone else. Give us a call at 1-800-LEMON-LAW (1-800-536-6652) 24 hours a day, or feel free to email us, and we will get back to you as soon as possible. Read about the Delaware Lemon Law. Review the Delaware Lemon Law Statute.